Once upon a time, buying a Chromebook was a fairly straightforward proposition. There were few differences beyond brand and aesthetics. Inside, the devices were all ultimately just low-powered laptops running ChromeOS – well suited for basic web and publishing tasks. While many of today’s models still fit that mold, features like RAM configurations, Wi-Fi standards, high resolution displays, Android app compatibility, peripheral support, and tablet-like capabilities have led to a much more diverse marketplace. Being an informed consumer is now much more important. Depending on your needs and your budget, here are the best Chromebook models of 2017. The Dell Chromebook 11 remains a workhorse in the budget Chromebook arena. Be aware, you aren’t getting some of the flashiest perks like Android Play Store integration or standard touchscreen features (touchscreen models are available for a premium, but aren’t particularly great on this model). That being said, the device’s rugged build and reliable performance (even with the 2GB model) make it a consistently solid recommendation. I have been able to use the device as my primary tool for web browsing, writing, and media streaming without any issues. It is no wonder that Dell’s Chromebook 11 remains a regular top choice for schools looking to put technology in the hands of teachers and students. For many Chromebook models, Android Play Store support has been the white whale. Google has promised support (and in turn a massive trove of compatible apps), but the rollout has been incredibly slow. While support at the premium level has been more ubiquitous, Chromebook shoppers looking for a budget friendly device with Android support could do much worse than the Acer Chromebook R11. Acer’s 2-in-1 design offers users a blend of Chromebook and Android tablet that is both snappy and dependable. 4 GB of RAM ensures that most applications will run without a hitch and multi-tab browsing is reliable. For users looking for a sub-$300 device to replace an aging tablet, the Acer R11 is a great option. Ultra-portable Chromebooks are handy when you need a small device on-the-go, but sometimes you need some extra screen real estate. The Acer Chromebook 14 offers a 14-inch, full-HD IPS screen that dwarfs the competition at an impressive sub-$300 price point. Its standard 4 GB of LPDDR3 RAM is a nice touch as well. Add into the mix an all-metal design (conspicuously reminiscent of the MacBook Air) and you have a durable, sleek device that can handle browsing, desktop publishing tasks, and multimedia viewing with ease. The arrival of the Acer Chromebook 15 this fall may mean that the Acer Chromebook 14 may even see a price reduction in the near future. It wasn’t too long ago that the term “high-end Chromebook” was a laughable thought. Not anymore. For Chromebook enthusiasts looking to get the top-of-the-line experience, Samsung and Google have come together to create an impressive (albeit expensive) 2-in1 device to answer the call. The Samsung Chromebook Pro comes packed with a gorgeous 12.3-inch 2400×1600 IPS touchscreen display that is bright and vibrant. The inclusion of Android Play Store support and a proprietary Samsung Pen stylus out-of-the-box makes the Samsung Chromebook Pro a workable tablet replacement. Under the hood, users get a powerful Intel Core m3 processor clocked at 2.2 Ghz and 4GB of LPDDR3 RAM to match. Unfortunately, all this power and display fidelity comes at the expense of fairly unimpressive battery life. While advertised as 9 hours, most users report 6 hours under regular usage conditions. 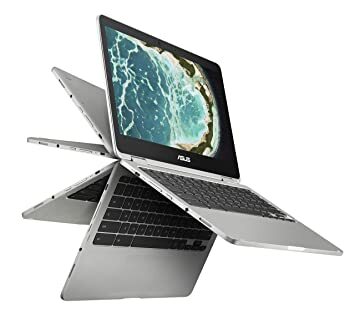 The current Chromebook king-of-the-hill is the Asus Chromebook Flip C302CA. It checks the boxes of affordability, power, display quality, versatility, and Android Play Store support. For under $500, users get a convertible 2-in-1 Chromebook/tablet hybrid that does just about everything well. Inside the durable, 12.5 inch aluminum body is a gem of a device complete with a beautiful 1080p IPS display, 4 GB of LPDDR3 RAM, Android Play Store support, and impressive battery life. An Intel Core m3-6Y30 processor and integrated Intel HD Graphics 515 ensures the Flip purrs when playing video or running most Android apps. Quality of life improvements like a comfortable, backlit keyboard and surprisingly good speakers make the Asus Chromebook Flip a stellar everyday device. Have a favorite Chromebook we left off our list? Let our community know in the comments below! Would the m5 variant for the C302CA be worth it? With no upgrade to the RAM or storage, you are paying around $200 for just the processor bump. Unless you have very specific use cases that are heavily processor dependent, it is hard to justify the steep cost to step up. To be fair, when it comes to running ChromeOS and Android apps, the m3 is no slouch. In all likelihood, the 4GB of RAM would be the performance bottleneck before the m3 processor would be. Under the Pros for the Asus, change the display size from “5-inch” to “12.5-inch”. Thanks for the feedback, really appreciate it! Just fixed the typo. The Acer CB 14 is my second Chromebook (after a Samsung Series 3), and I have not noticed any issue with trackpad performance. It is certainly better than any Windows laptop I have used ever. I am not even sure what “Trackpad performance drags” could possibly mean? I know it is an older model but I just purchased a new Samsung Chromebook 3 . This would definitely Fall under the inexpensive category but it is 4g with 32g flash storage and works with the gokglG play store. I picked it up last week at Best But for under $169 does everything I need.